Equipment rental software provides rental companies with business tools to run and organize their operations. Rental businesses can use this software to manage their inventory, track equipment maintenance, and perform many back-office functions such as accounting. Equipment rental software supports construction equipment rental, event equipment rental, recreational equipment rental, and more. Many rental businesses can use equipment rental software to run all aspects of their business, including point of sale and equipment tracking. Equipment rental software is designed for all rental businesses except car rentals, which primarily use car rental software. Equipment businesses may also want to use tools such as inventory control software, small-business accounting software, or self-service business intelligence software to help manage day-to-day operations. Equipment Rental reviews by real, verified users. Find unbiased ratings on user satisfaction, features, and price based on the most reviews available anywhere. EZRentOut is a cloud-based equipment rental software that makes renting out equipment a breeze. Our order management and reservation features, along with our asset tracking, payment integrations, and Online Multi-Store, make this a must-have for rental companies looking to increase efficiency across all industries. Use the EZRentOut mobile app to create orders on the go, scan Barcodes and QR Codes, or to use as a POS. Our QuickBooks and Xero integrations help you stay on top of financials, the invoicing and quoting templates save you time, and custom reports provide actionable insight into your business operations at all times! 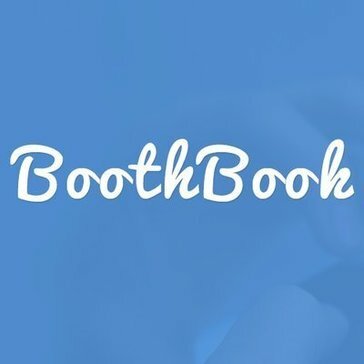 A comprehensive online photobooth booking software with features for scheduling, online payments, staff management, and more. Booqable is the complete software platform for running a rental business. It's everything you need to plan and manage rentals, keep track of equipment, manage your inventory, send out invoices, accept payments, and fulfill orders through your existing website. Booqable works with rental companies across the globe, in various industries. RentalExpert provides smart features and automated processes to manage every aspect of your rental operation—no matter what industry you're in. RTPro allows tracking equipment using both a barcode scanner and a non-barcoded approach. Tracking and reservation software specifically for outdoor equipment rental companies. Alert EasyPro is a web-based equipment rental management software solution. For single & multi-location rental companies - comprehensive package, handling all areas including integrated accounting. Completely integrate Microsoft based rental management software. No matter your company size, EQM lets you take control. ARM Software manages your entire customer and rental lifecycle, maximizing what lies beneath the surface of your business. BIS Rental Application is a fully integrated into the application is a system which handles purchasing, inventory control, customer orders, accounts receivable, financial statements, general ledger, and sales analysis. Boachsoft SmartManager is a video rental software, which features include barcode printing, reservations, an excellent account system, multiple user administration, prepaid rentals. Booking Bytes is a Rental Software company offering a turnkey Web Rental System. Includes your website, rental store, and more. Booking YoYo is a bike rental & fleet management solution that provides features like multi-venue hire, maintenance manager, and flexible rental. Bounce Rental Solutions is a web-based software application for party equipment rental companies that specialize in inflatable rentals. Bouncy Castle Network is an online bouncy castle websites and booking system. A rental software for inventory, customer, and order management for rental businesses. Dynamics Rental has been developed based on best practices from the rental industry to enable you to have a better grip on your business and achieve your and your customer's ambitions. easyjob 3.0 is a software that helps prevent equipment overbookings and loss with the modern look and feel of Windows XP. From tracking inventory, vehicles and staff to drafting proposals and invoicing clients, easyjob 3.0 helps you stay on top of your rental business. EQM's Rental Management Software is fully integrated with Microsoft Dynamics NAV, providing a complete rental business solution. You no longer have to export files, or create any type of bridge software in order to export the files to your accounting software. EventOffice is built for Event, Tent, AV, and Furniture rental companies that do multiple events per day. 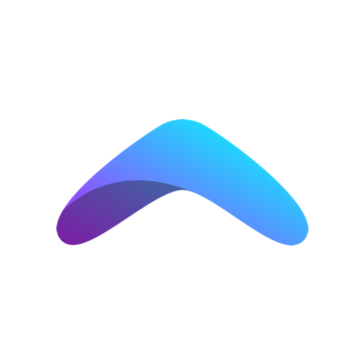 EventOffice allows you to enjoy AI-powered delivery routing, website integration, digital contract, online payments, phone system integration, and inventory management. Online Hire and Reservation Software designed to be affordable for a range of businesses and services. Rental ERP Software to Manage: Rentals, sales, service, retail, leases, manufacturing, inspections, maintenance, parts, inventory, purchasing, accounting, asset financing, financials, reporting, dashboards, HR, payroll, & taxes. GearTrack is an online Equipment Management system that allows administrators to rent, check out and reserve equipment, with the additional option of allowing Online Reservations by their clients. Goodshuffle simplifies event & party rentals. Our online marketplace makes booking easy, and our software streamlines business ops for rental companies. All in one solution that is more feature rich than any other product on the market, benefiting the user with a sleek, fast and straightforward workflow. Manage every piece of your hire or rental equipment the way you want to with our flexible stock tracking, from booking right through to invoicing and payment. The leading rental management software solution company for the professional sound, lighting, audio visual, staging and other live event production industries. Automate your inflatable rental business. Quotes, emails, surveys, contracts, pay & book online. 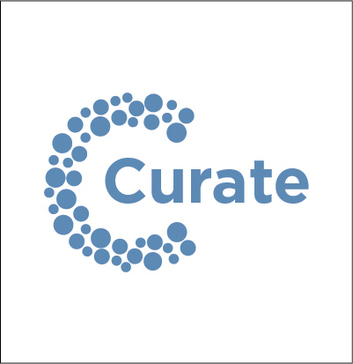 Integrates w/Google Calendar, Analytics, Adwords, Voice, and Quickbooks. integraRental is a cloud-based integrated rental software that provides features like mobile dispatch, asset management, and mobile rental. InTempo connects you to powerful software, the highest quality customer support, and a vibrant community of users. MagaRental is a Vacation Rental Software for apartments and channel manager. MCS-rm is a rental management software that offers what you need to manage, control the efficiency and profitability of your hire operation. Rental eCommerce is a full featured rental eCommerce Platform that focus on your ROI. Rental eCommerce allows you to put your carts, leads and inquiries on auto-pilot as our SEO-optimized platform improves your discoverability and lead volume. RentalElite by Point of Rental isn't just a software solution; it is a partnership for the life of your business. A fully integrated enterprise resource planning (ERP) solution, this rental management software is designed specifically for the largest rental companies worldwide. Point of Rental Software provides smart, scalable rental and inventory management software to over 4,800 business locations of all sizes and industries. trackingThis addresses the challenges you face when managing equipment and jobs whatever size your business. Delivering ERP solutions for rental & construction companies worldwide. Allows you to completely manage your rented inventory, contracts, rental invoicing & even send alerts for renewal. Sererra's Rental Management Solution is flexible enough to adapt to any rental business from a party rental to heavy equipment. Rental.Vison is a rental Management Software with calendar functions, work orders, and integrations. Rental.Vision incorporates an advanced user interface that is intuitive and easy to use enabling you to provide fast and and accurate service to your customers. RentalWorks is a proven software solution that was built specifically for the entertainment industry. Film studios, audiovisual companies, and many more rely on RentalWorks to facilitate their daily workflow. RentControl is affordable, easy-to-use Windows software with complete facilities for managing inventory, maintenance, clients, reservations, scheduling, rentals, check-in, payment processing and customer accounts. Renterval's easiest-to-use online rental software lets your customers and your staff a way to browse & book your rental inventory in seconds from any smartphone, tablet or computer. Hi there! Can I help you find the best Equipment Rental solutions?